Police in Arizona have made an arrest in connection with a woman who gave birth while in a vegetative state. The 36-year-old suspect, Nathan Sutherland, was arrested after investigators obtained a DNA sample Tuesday, according to the Phoenix Police Department. Police said that they had determined that his DNA matched the baby’s DNA and he was booked into the Maricopa County Jail without bond on Tuesday after being charged with one count of vulnerable adult abuse and one count of sexual assault. 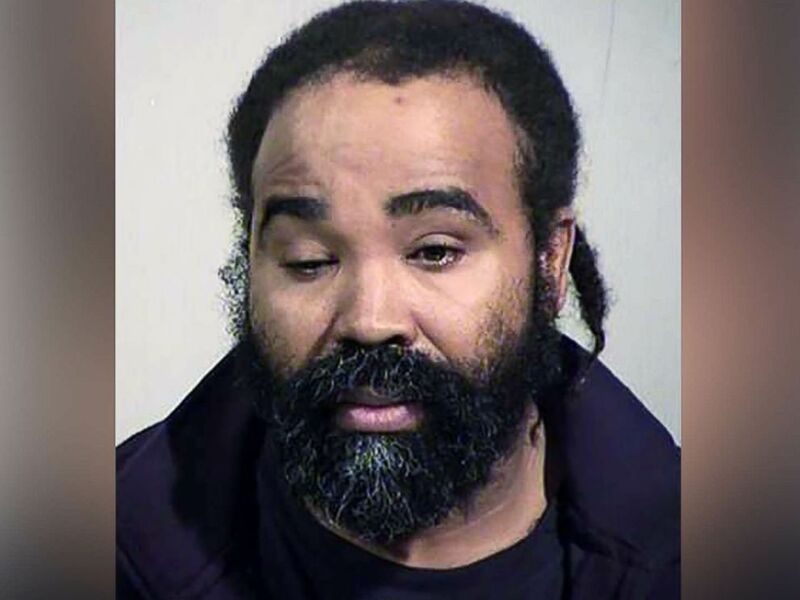 Authorities said he was responsible for caring for the woman at the time of the alleged abuse that appears to have resulted in the pregnancy, a spokeswoman for the Phoenix Police Department announced in a press conference Wednesday. Sutherland had been a licensed practical nurse at Hacienda Healthcare in Phoenix since 2011, police said. He was identified as a person who had access to the victim in the case, and investigators obtained a DNA sample from him yesterday using a court order, police said. Sutherland was not working at the time police retrieved the evidence. The important thing is that she is a beloved daughter, albeit with significant intellectual disabilities. She has feelings, likes to be read to, enjoys soft music, and is capable of responding to people she is familiar with, especially family. A statement released through the family's attorney, John Micheaels, on Wednesday said they were aware of the arrest but declined to comment further, asking for privacy. On Tuesday, Micheaels released a statement saying the family "would like to make clear that their daughter is not in a coma." "She has significant intellectual disabilities as a result of seizures very early in her childhood," the statement read. "She does not speak but has some ability to move her limbs, head and neck. Their daughter responds to sound and is able to make facial gestures. The important thing is that she is a beloved daughter, albeit with significant intellectual disabilities. She has feelings, likes to be read to, enjoys soft music, and is capable of responding to people she is familiar with, especially family." The difference between being in a coma and being in a vegetative state is that a patient in a coma is completely unresponsive, does not react to light or sound, cannot feel pain and whose eyes remain closed. Comas normally last for a finite period of time – days, weeks or even months, according to the non-profit American Hospice Foundation. A patient in a vegetative state is still unconscious, but such a condition can be characterized by involuntary eye movement, teeth-grinding and facial expressions. Some patients in a vegetative state can remain so for years or indefinitely. After the birth, Hacienda Healthcare released a statement describing the incident as “deeply disturbing,” saying it would fully cooperate with law enforcement in the investigation. "Every member of the Hacienda organization is troubled beyond words to think that a licensed practical nurse could be capable of seriously harming a patient," the statement reads, in part. "Once again, we offer an apology and send our deepest sympathies to the client and her family, to the community and to our agency partners at every level. Every member of the Hacienda organization is troubled beyond words to think that a licensed practical nurse could be capable of seriously harming a patient. 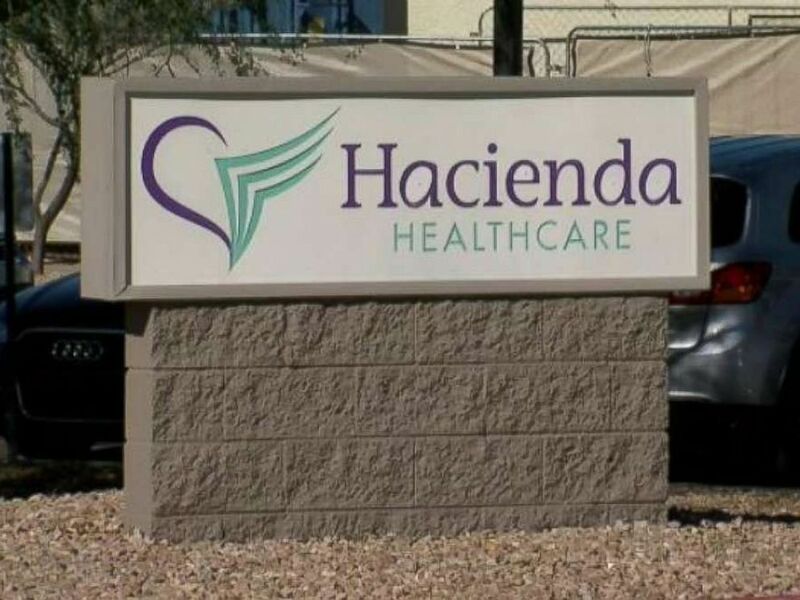 "Nathan Sutherland, who held a current state of Arizona practical nurse’s license and who had undergone an extensive background check upon hiring – was terminated from Hacienda the moment our leadership team learned of his arrest." "We will do everything in our power to ensure justice in this case," the statement continues. Nathan Sutherland, 36, has been arrested in connection with a woman who gave birth while in a vegetative state. Sources told Phoenix CBS affiliate KPHO, which first reported the incident, that the woman had been a patient at the facility for at least 10 years after a near-drowning incident left her in a vegetative state. None of the staff was aware that she was pregnant, a source told the station. The woman gave birth to a healthy baby boy on Dec. 29, KPHO reported. After the birth, the facility was mandated to increase security and staff presence during interaction with patients and increase monitoring of patient care areas, the Arizona state Department of Health Services told ABC Phoenix affiliate KNXV earlier this month. Additionally, another person is required to be in the room when male health-care aides provide treatment to female patients. On Wednesday, Hacienda Healthcare officials said as part of their statement that security measures have continually increased since news of the incident first surfaced. It remains unclear whether Sutherland has retained a defense attorney. A spokesman for the Maricopa County Public Defender's office did not immediately respond to an ABC News request to determine whether Sutherland has been assigned a public defender. ABC News' Clayton Sandell, Bonnie Mclean and Crystal Muguerza contributed to this report.